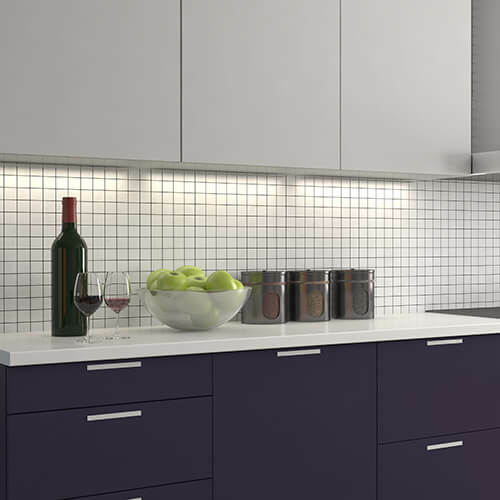 If you’re tired of basic beige and neat neutrals, we’ve got some top tips on how to spring some colour into your kitchen without breaking the bank! 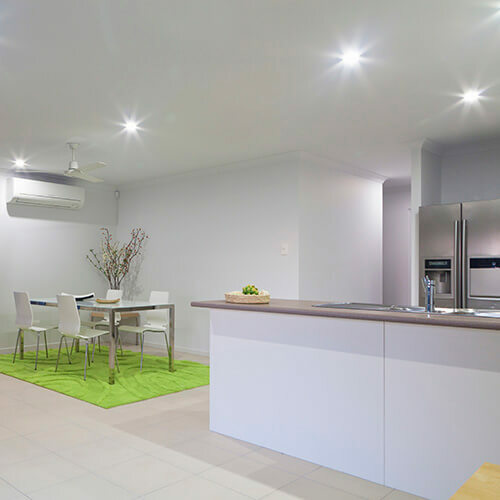 There’s no denying white and beige kitchens are timeless and match any design. 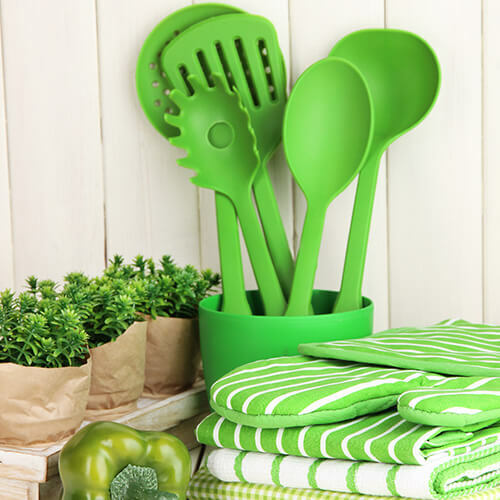 But why not add a splash of colour or some creative pieces to really spruce up your kitchen for spring! You don’t have to buy pricey coloured appliances to achieve your new colourful kitchen, there are plenty of ways to bring your kitchen to life which are cheap and easy! 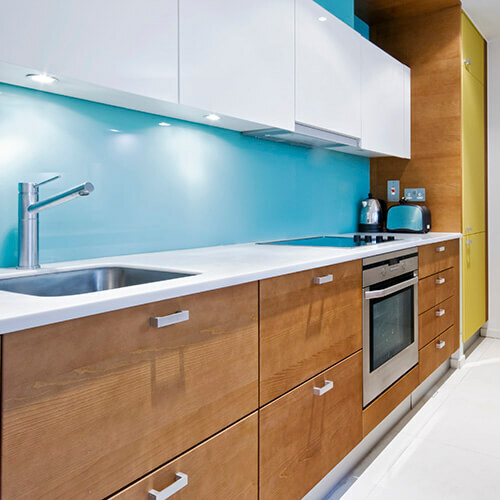 Painting your whole kitchen can be a chore, so why not try painting just one wall or section in a bright and eye-catching colour. Just a splash of colour will completely transform your room and create the illusion of a bigger space. 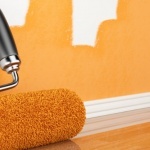 If you’d rather keep your walls plain, you could add some colour by painting your cupboards. 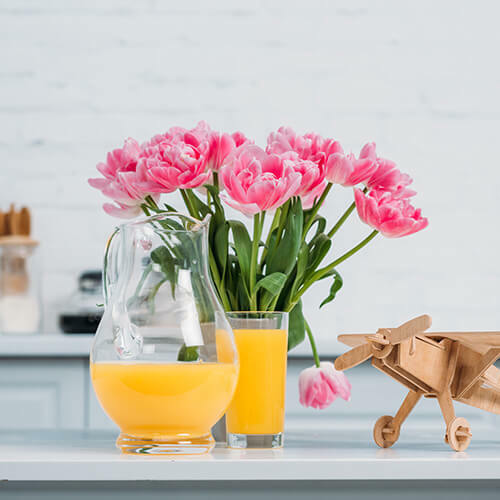 Wood or metal paint can create a great effect in your kitchen and you can even use this trick on tables, chairs or breakfast bars. Who said rugs were just for living rooms! If you want to add something a little different to your room, add a brightly coloured or patterned rug. You can place it under your kitchen table or in the middle of your kitchen to add a bit of style! 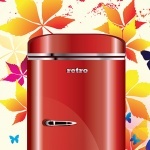 Although brightly coloured fridges and ovens are very tempting, they can be pricey. Instead, choose the colourful small appliances. 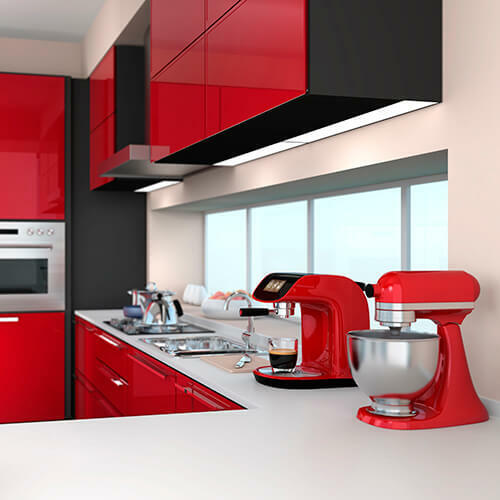 Add a kettle, food mixer or coffee machine in your colour of choice and add a pop of colour to your kitchen. Flowers add colour and personality to any room, so why not try them in your kitchen. Or, if you like to keep fruit in your kitchen (or even if you don’t) put it in a bowl on display. Try and select a variety of coloured fruit and it will bring life to your room. 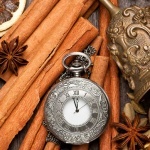 It’s hard to find decorations to spruce up your kitchen, so why not use what you already have! 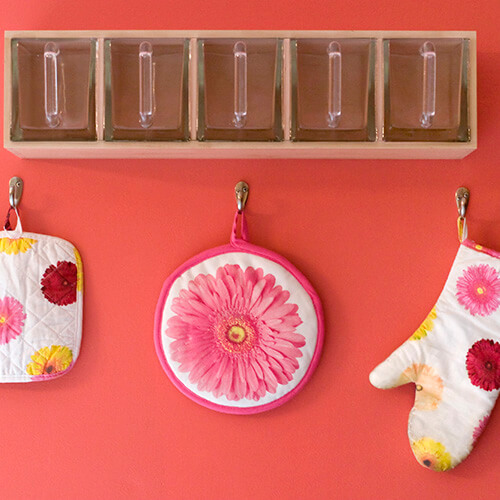 Opt for brightly coloured oven mitts, tea towels and pot holders and create a hanging area. This will not only add some decoration to your kitchen but you’ll never lose your cooking essentials again! The rule also applies to kitchen utensils. You don’t have to go for wooden spoons or stainless steel equipment when the colourful options are so much more appealing! Put them on display and let them do the job for you whilst also saving space in your cupboards. 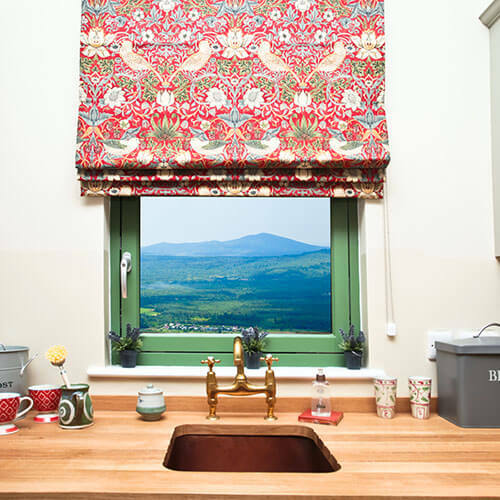 If you haven’t changed your curtains or blinds in a while, simply adding a colourful or patterned blind can transform your kitchen! Go for a light fabric that lets the daylight in and the colour will reflect through your room. 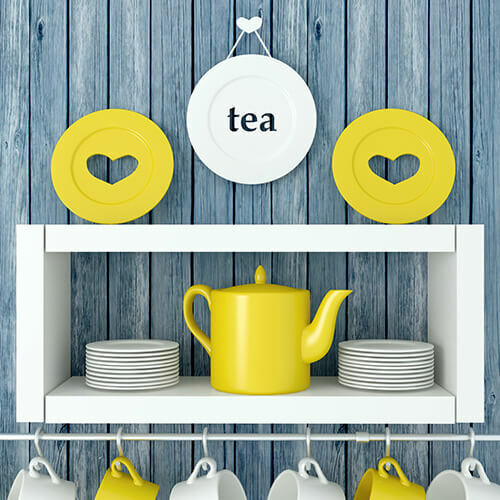 If you’ve got a nice tea set or that dinner set you only use for special occasions (we all have one) then instead of keeping it tucked away in your cupboard, put it on display! It’s an easy way to add colour and decoration without having to purchase anything new! For more ways to get your kitchen spring ready, check out these creative ideas to give your fridge a makeover.